Earn 10-40% more revenue with data-driven pricing software built for all vacation rental hosts, owners, and property managers. Wheelhouse gives you the tools to run your business your way. We leverage data to build a pricing strategy that reflects the unique aspects of your market, rental, and overall business goals. You can fine-tune it as much as you want, so that it’s perfect for you. Stay competitive year-round: Go from using 1—4 rates per year to being much more strategic with more than 240 unique rates per year. Prices that are always up-to-date: We automate pricing every night based on real-time analysis—so you’re not constantly number-crunching. Wheelhouse hosts experience an average increase of +39% in revenue when using Wheelhouse Pricing. 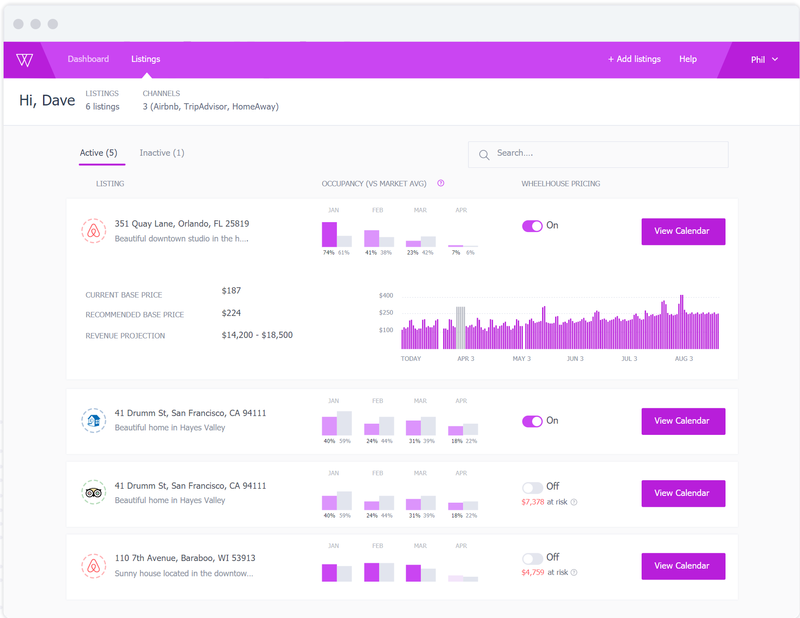 Real-time insights power your business: Now you can truly understand how your rental is performing and how your local market is performing, too. 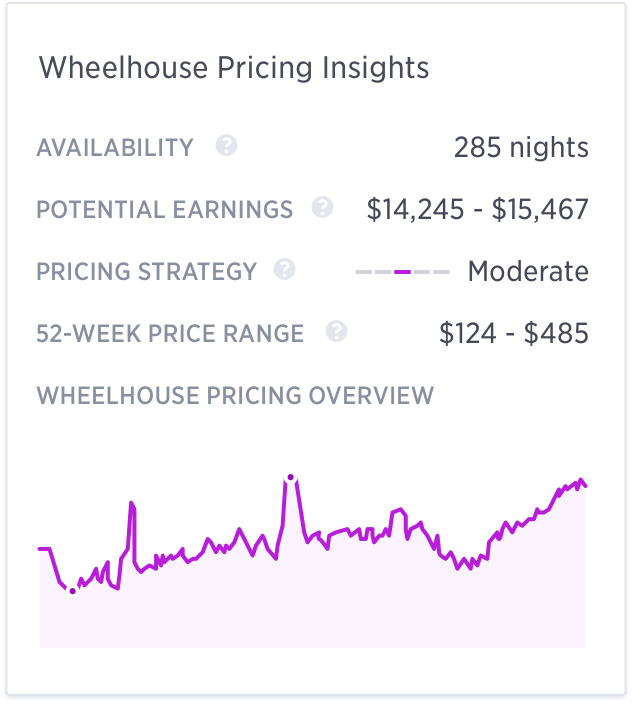 Built by world-class data scientists: Wheelhouse is the only team with Ph.D Data Scientists designing hotel-level pricing tools for short-term rentals. The Wheelhouse Pricing Engine analyzes 10 Billion data points every night. Personalized Recommendations: Easily align your pricing strategy with your business goals and needs, so that you can have pricing peace of mind. 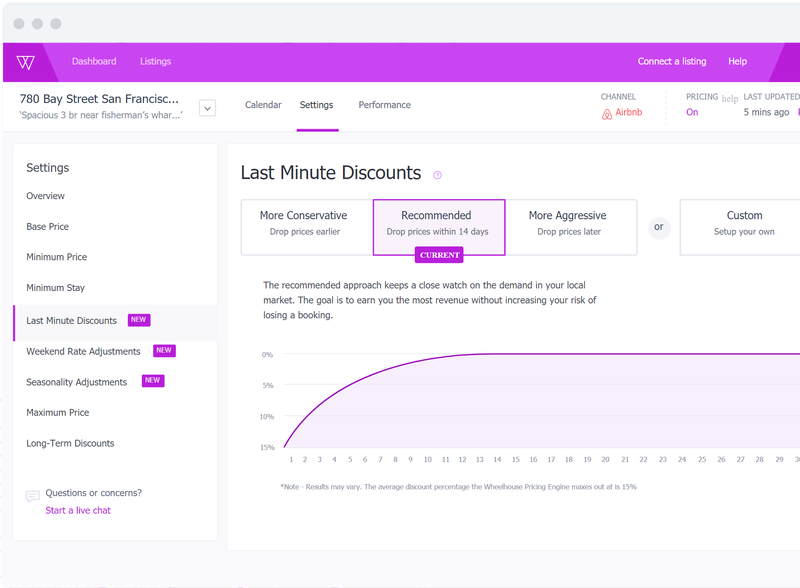 Control what matters: Robust settings let you adjust how conservative or aggressive your pricing strategy is. You can also fine-tune everything from weekend rates to last minute discounts. The right prices across every channel: Fully integrated with Airbnb, TripAdvisor and more—so you can strategically price across every channel in less time. Always be informed: Your dashboard is the command center for your business. 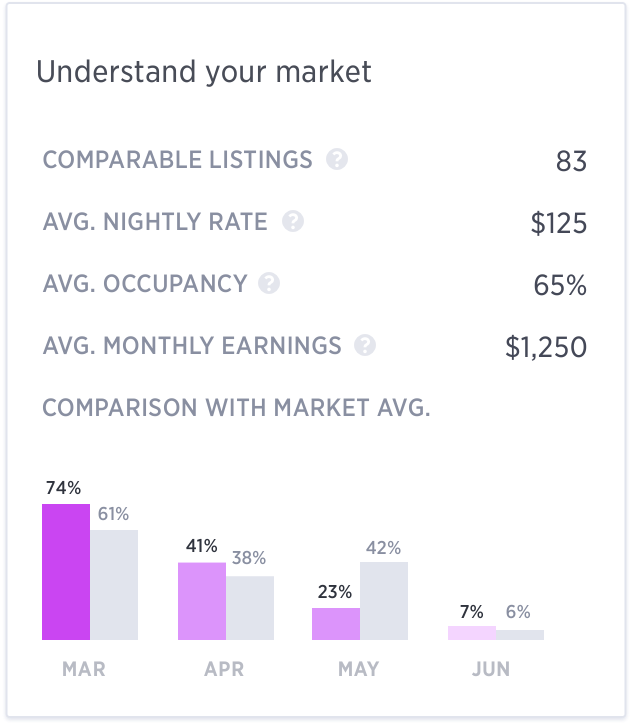 Easily track the health and performance of all your listings.